You can find it all here. From local fast food to great gourmet dining and everything in between! Dining out in Tel Aviv restaurants is one of my favorite things to do, and you will love it too! The freshness and diversity of the food here is outstanding. Much of the cooking is based on the amazing produce grown locally in Israel. Try our private wine-tasting and food tour in one of Israel's six wine regions. You'll enjoy some of Israel's best boutique wines, combined with local chocolatiers, cheese-makers, honey producers, and more. Perhaps there is so much good food here because we are a melting pot of immigrants. 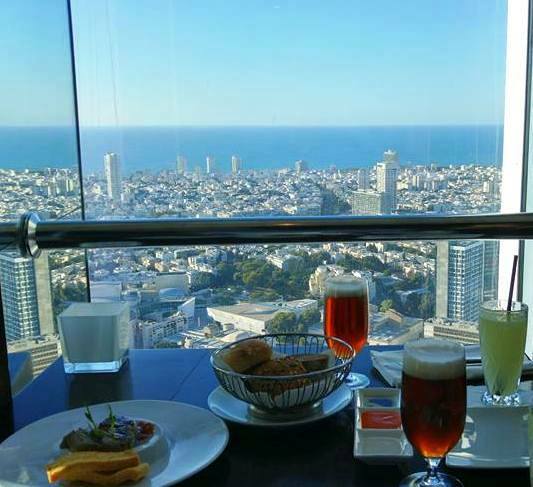 Whatever the reason, Telavivians love eating out and you will see them eating and drinking in Tel Aviv's restaurants, coffee shops and bars day and night. Discover my handpicked list of the best restaurants in Tel Aviv. And for my kosher-keeping friends, find out where to enjoy delicious kosher dining in Tel Aviv. Israel has some of the best fast food in the world! And compared to fast food in the US and Europe, some of it is relatively healthy. The three quintessential fast foods you can find in Tel Aviv are: hummus, falafel and burekas. 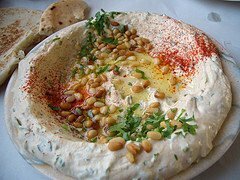 Having eaten hummus in hundreds of different restaurants, read about our five favorite hummus joints in Tel Aviv. Falafel is the ultimate Israeli fast food. 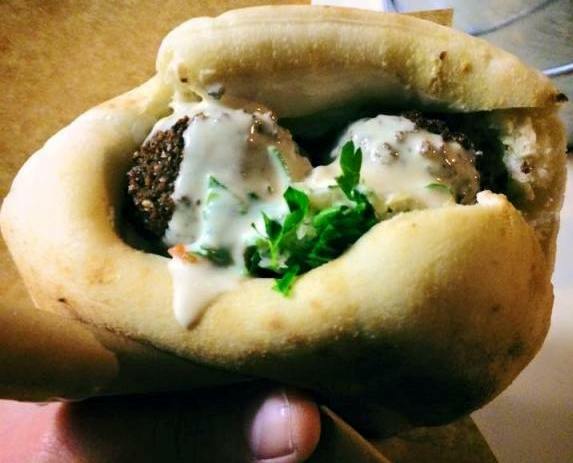 Thee are so many falafel joints in Tel Aviv, but where can you find the the tastiest falafel balls? Visit Best Falafel. mmm... Crispy burekas stuffed with cheese and spinach, olives, eggplants, spinach, or even meat. 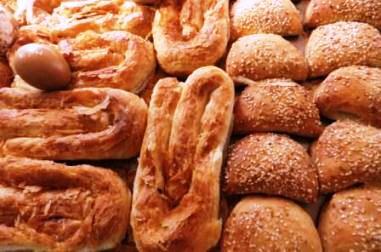 Learn where to find the tastiest burekas in Tel Aviv. 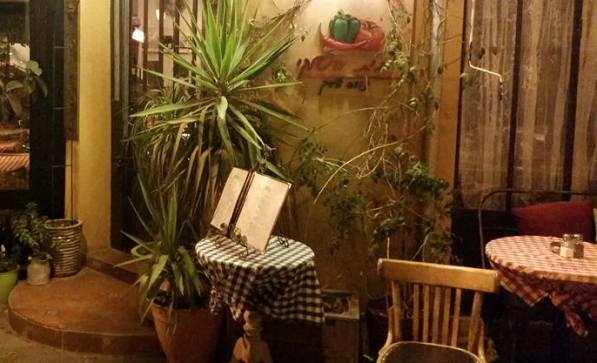 Some of the city's best restaurants are located in Neve Tzedek, in southern Tel Aviv. Read more on where to eat in Neve Tzedek. Sarona commemorates the site of the old German Templar community. There are lots of indoor and outdoor dining options. Read more on our page on Sarona Tel Aviv. Read about some of the the best restaurants at the lively Tel Aviv Port and the Namal market area. Hatachana, the renovated Old Train Station is well worth a visit and has some excellent food stalls and restaurants. Arund the Carmel Market are wonderful traditional ethnic places, and trendy new hot spots. Read more on eateries in 'Kerem HeTeimanim - the Yeminite Quarter. 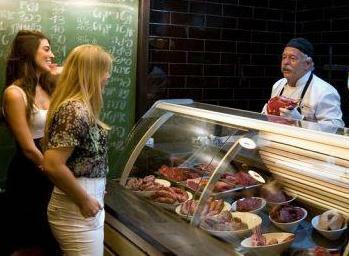 With so many Israelis travelling to South American, its cuisine is especially popular in Israel. Here are some South American eateries in Tel Aviv. There are hundreds of pubs and bars in the city that never sleeps. 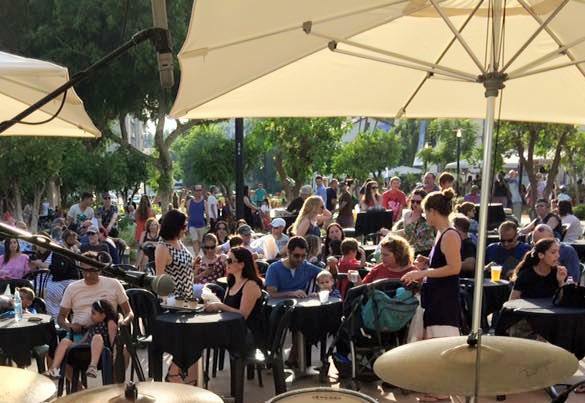 Telavivians love to party. 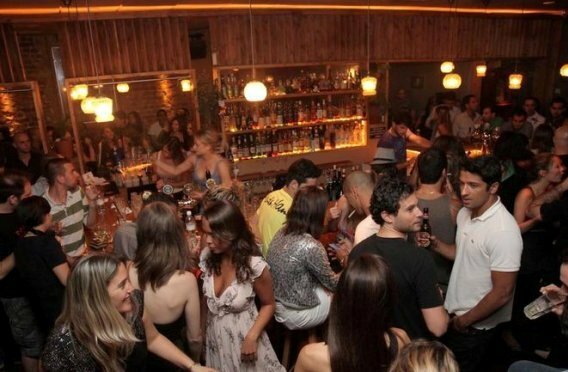 Read about our favorite bars in Tel Aviv. When Are Meal Times at Tel Aviv Restaurants? Like our southern Mediterranean neighbors, mealtimes in Israel and especially in Tel Aviv start a little later. You can eat lunch as early as 12 PM, although 1, 2 and even 2:30 PM is more common. The same goes for dinner time. You can eat dinner at 7 PM, which probably makes sense if you're going out with young children, but evening meals in Tel Aviv restaurants usually start at 8, 9 and even 10 PM. I will never be able to review all the Tel Aviv restaurants. Tell us about your experience, good or bad, at a Tel Aviv restaurant. Add a picture if you have one! 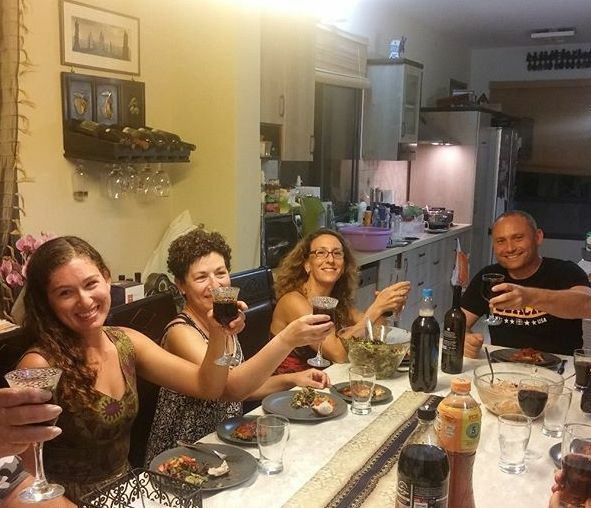 If you are looking for a unique dining experience, consider the Betzavta initiative and share a home-cooked meal at an Israeli host. 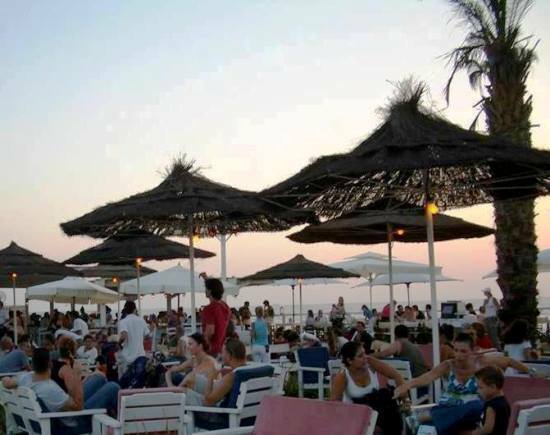 Its a great way to meet Israelis in a friendly setting. Find our more here.